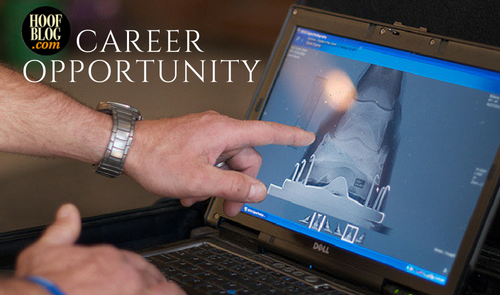 Arizona Equine Medical & Surgical Centre seeks an American Farrier's Association certified JOURNEYMAN FARRIER (or equivalent qualification) for our newly developed Arizona Equine Podiatry Center. It's that time of year: let's all drive to New Hampshire and enjoy the 29th Annual Myhre Equine Clinic Farrier/Veterinarian Conference in Rochester, New Hampshire. This article will include as many details as possible for you to make your plans. 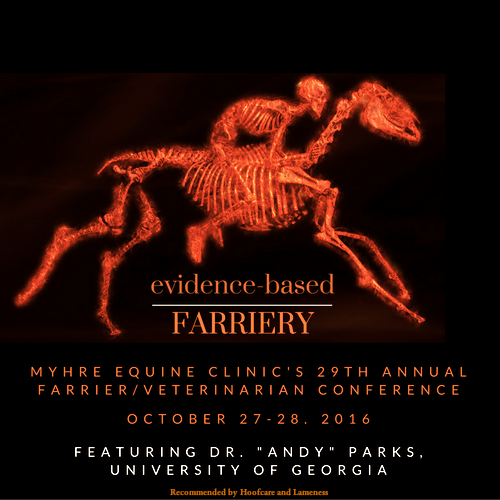 Hosted by Dr. Grant Myhre, the big two-day event will be held later this week, October 28-29. 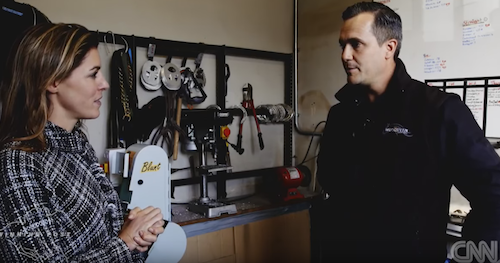 CNN racing reporter Aly Vance interviewed Newmarket farrier William (Billy) Mulqueen, DipWCF about the importance of farriery to racehorses for an extended segment on stable staff working for British Thoroughbred trainer William Haggas. October 22, 2016 was a great day for everyone who works behind the scenes with (and for) racehorses. CNN aired a "Winning Post" edition on the people behind the horses, including a three-minute special feature on the importance of farriers. Filmed in Newmarket, England at the racing yard of trainer William Haggas, the show, which is distributed internationally (except to the United States), featured CNN's Aly Vance learning about the Somerville Lodge stable lads, equine physiotherapist, veterinarian and a crew of farriers from Mulqueen Farriery Consultancy in nearby West Row in the county of Suffolk. The videos are posted below, in two parts, courtesy of CNN. 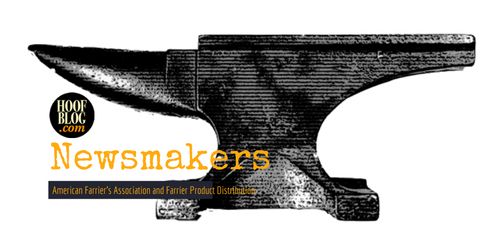 Farrier Product Distribution (FPD) has become the latest company to join forces with the American Farrier’s Association (AFA) as an educational communications partner. 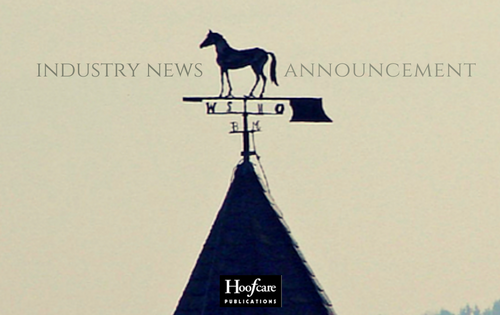 Delta Mustad Hoofcare Center (DMHC) has announced that Minnesota farrier Scott Lampert has joined the company as Product Development Manager. 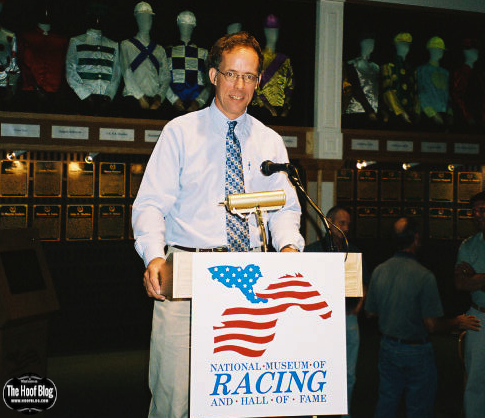 He's the man who reads hoofprints...and he might be only person who can tell you as much about the way the footing or racing surface was imprinted as a farrier can tell you about the horse and the shoe that made the print. Today the American Farrier’s Association (AFA) announced a donation of $10,000 through its Equine Research Fund to the Morris Animal Foundation in support of research being conducted by Morris Animal Foundation Fellow Dr. Alix Berglund at North Carolina State University. 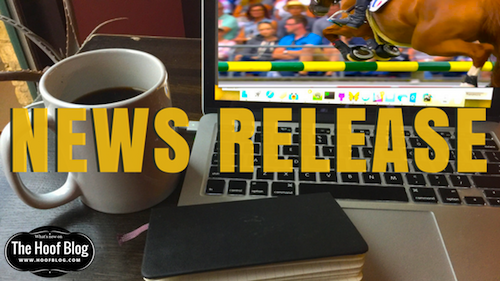 The Arabian Horse Association (AHA) has submitted a proposed shoeing rule change to the United States Equestrian Federation. AHA is the governing body of the Arabian horse breed in the United States and Canada; it is an affiliate of the United States Equestrian Federation and represents more than one million registered Arabian, Half-Arabian and Anglo-Arabian horses. 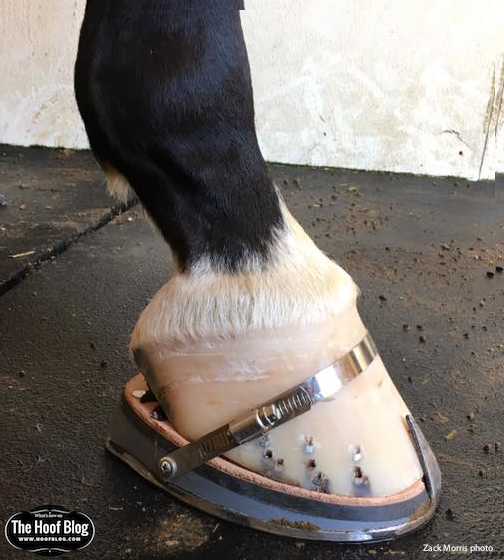 AR106 Shoeing Regulations, Artificial Markings and Appliances, as posted on the USEF website, details the current rules on how saddleseat-type show Arabians and Half-Arabians may (and may not) be shod. 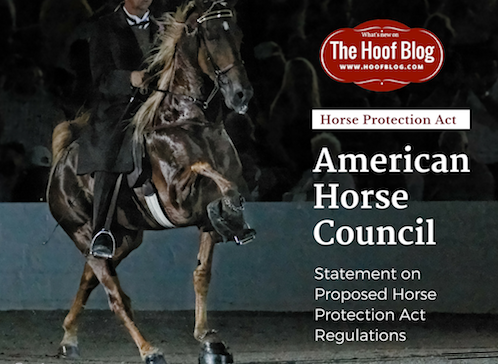 For the past few months, the US Department of Agriculture has been hosting "listening sessions" around the country and gathering input about a proposed amendment to the American Horse Protection Act, which bans the "soring" abuse techniques used on some Tennessee Walking horses to gain an advantage in the show ring in some classes, particularly where the horse is asked to do the famous "big lick" walking gait. Among the features of this amendment is complete outlawing of pads, action devices such as pastern chains, and weighted shoes.